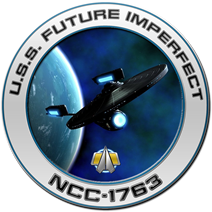 On this episode of “Future Imperfect,” Admiral Phillips returns to the Beta Quadrant and StarFleet Command to meet with Captain Dodd, where we discuss CBS’ venomous wrath for anything fan project related. We also dive into the first Star Trek: Short Trek episode featuring Tilly, news on Discovery Season 2 and the Captain Picard multi-season series. Posted in Future Imperfect and tagged CBS, Discovery, picard, short trek, Star Trek.